Film critics must always be on guard against the temptations of hyperbole. 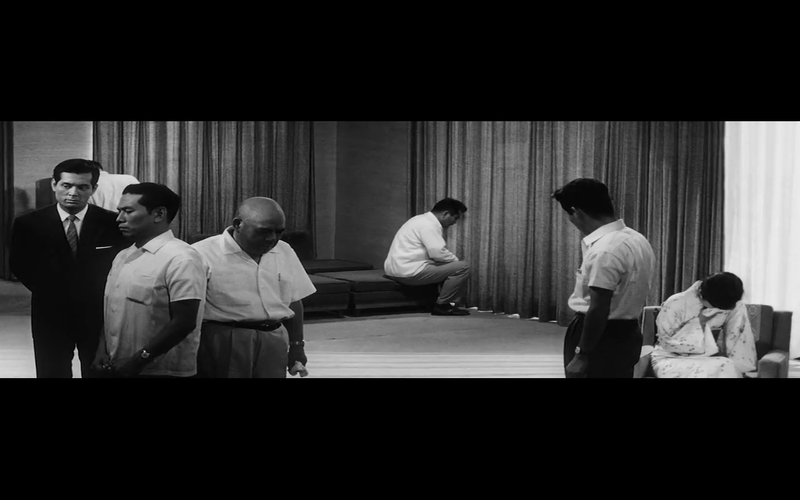 How easy it is to, in a fit of post-credits elation, declare that such-and-such a film is the “greatest ever” or at the very least the “movie of the year.” And yet, I still feel myself drawn to an inescapable conclusion: Akira Kurosawa’s High and Low contains everything there is to know about widescreen cinematography. 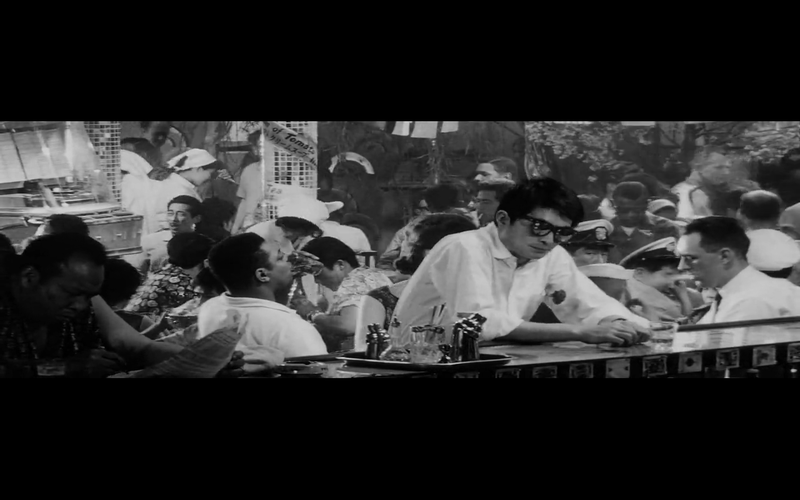 Shot in stark blacks and whites, High and Low is perhaps Kurosawa’s most visually evocative film. This is no meager claim considering that this is the director who gave the world the rain-drenched/sun-parched settings of Rashōmon (1950), the geometric mise-en-scène of Yojimbo (1961), and the static, detached scenes of slaughter and carnage of Ran (1985). And yet my statement remains. And I stand by it. 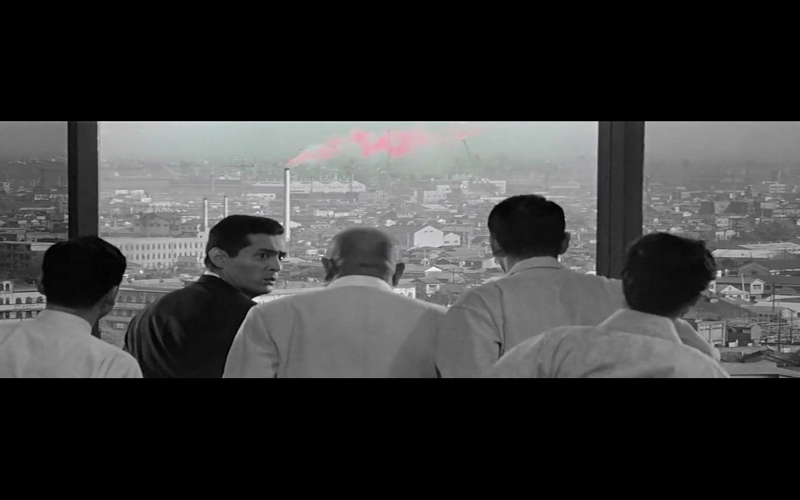 The literal translation of the Japanese title is “Heaven and Hell.” And, indeed, the first hour of the film takes place in “heaven”: an immaculate house on the top of a hill inhabited by the Gondo family. 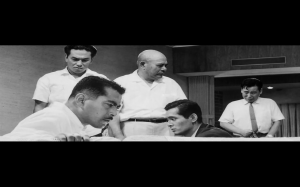 At the top of the family is Kingo (Toshiro Mifune), a wealthy business executive who worked his way up from an apprentice to one of the owners of a prosperous shoe company. The opening scenes of the film watch as Kingo and his wife sit nervously in their living room, waiting for a phone call that will hopefully confirm that his ploy to construct a leveraged buyout of the company from his corrupt co-executives who want to force him out has been successful. 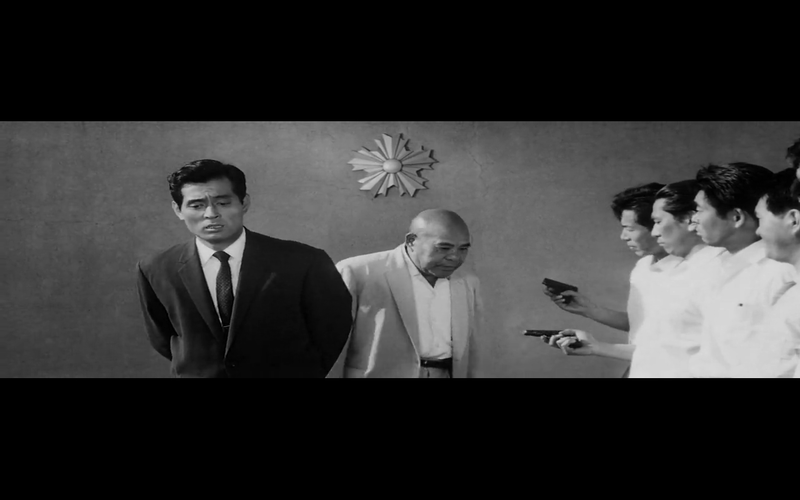 But in a masterstroke of Hitchcockian misdirection, they receive a phone call that abruptly announces that someone has kidnapped their son and is holding him for 30 million yen. But when their son suddenly reappears in their living room, Kingo makes a horrifying realization: the kidnapper has mistaken his chauffeur’s son for his own. But no matter, the kidnapper gleefully demands that Kingo pay the money anyway or he’ll kill the boy. He is faced with a Herculean dilemma: should he sacrifice his fortune and ruin both himself and his family to save the life of somebody else’s child? Pay attention to how Kingo’s spacious house remains orderly and sterile even in the midst of emotional cataclysm. When the police arrive to investigate, Kurosawa meticulously arranges his characters in 2- to 7-shots with almost surgical precision. The blocking is reminiscent of the early days of silent cinema where most everything was positioned within a single visual plane, almost like theater. 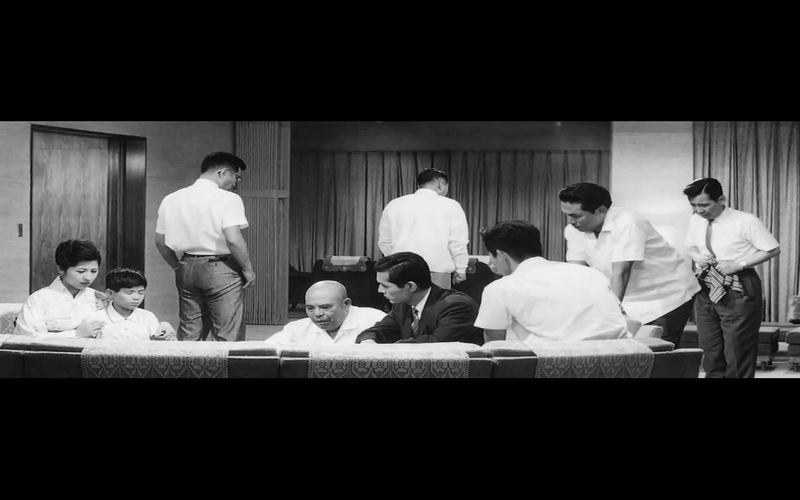 But instead of evoking the stage, Kurosawa’s images seem to exude the fastidiousness and beauty of ikebana, or Japanese flower arranging, where every element of a composition displays a deliberate, calculated weight. After the first hour, the narrative shifts focus from the Gondo family to the tireless cops investigating the kidnapping. 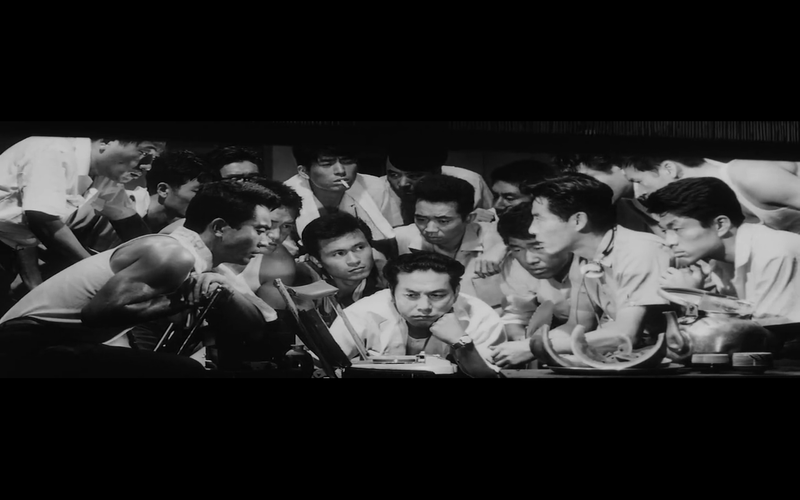 And from there Kurosawa’s gaze morphs to fit the circumstances of the action: scenes of police officers going over evidence are as cramped as their offices, the drop-off of the money to the kidnappers is done in faux-documentary style, and the eventual pursuit of the kidnapper through the city slums devolves into frenzied bacchanalia. That the film ends with the police hunting through bars stuffed with Americans and alleyways cramped with drug addicts is no coincidence. Here is the “hell” of the film’s title. But it is more than just a title: it is an explanation. For within the hellish squalor of poverty and withdrawal, the only escape for the individual is crime. And the only escape for the individual soul is anger, resentment, and hatred. The film’s chilling denouement where Kingo confronts the kidnapper is the final nihilistic twist. He didn’t kidnap and extort Gondo’s family because he needed or wanted money. He did it for hatred: of Gondo, his success, and his perfect little house high up on the hill. High and Low isn’t just a police procedural thriller; it is an indictment of capitalistic excess, of the supposed moralistic bankruptcy of post-War Japan that so many Japanese filmmakers feared, and of the people at the top of the world, content to let the masses below churn and break apart against the rocks. And all of this is done by Kurosawa with an eye for detail, composition, and imagery that remains nearly unparalleled in Eastern Asian Cinema. It’s so striking that it almost completely distracts the audience from realizing that High and Low is one of the great master’s most pessimistic and nihilistic films.